Whenever I go outside during the winter without a scarf I always seem to end up with a cold and that's no fun. The ultimate in relaxation. Whenever I've had a stressful day a hot bath with a little of this in it never fails to send me off into the best sleep. It's like a long, hot cuddle. Sheer but oh so lovely, glossy and smooth. The perfect deep burgundy colour I've been looking for and the formula is wonderful - so shiny and opaque in one coat! I have a real thing for facial oils, they save my skin from getting too dehydrated and irritated from the cold. The best invention ever! Regular wellies aren't my favourite but these are perfect. The fuzzy lining makes them feel extra cosy, & the cute dogs make me love them that little bit more! What are some of your winter essentials? P.S. I apologise for the short and sweet posts. I'm swamped with Uni essays but I also really don't want to give up on Blogmas! 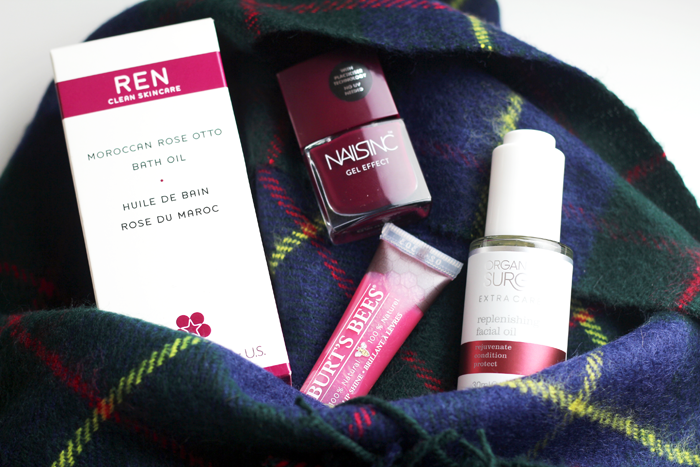 I've currently been using the Ren Rose Otto Body Lotion and it's very nice! The Nails Inc colour is so beautiful! I was actually eyeing up the Nails Inc colours just today, they're all amazing! I love that Nails Inc shade! 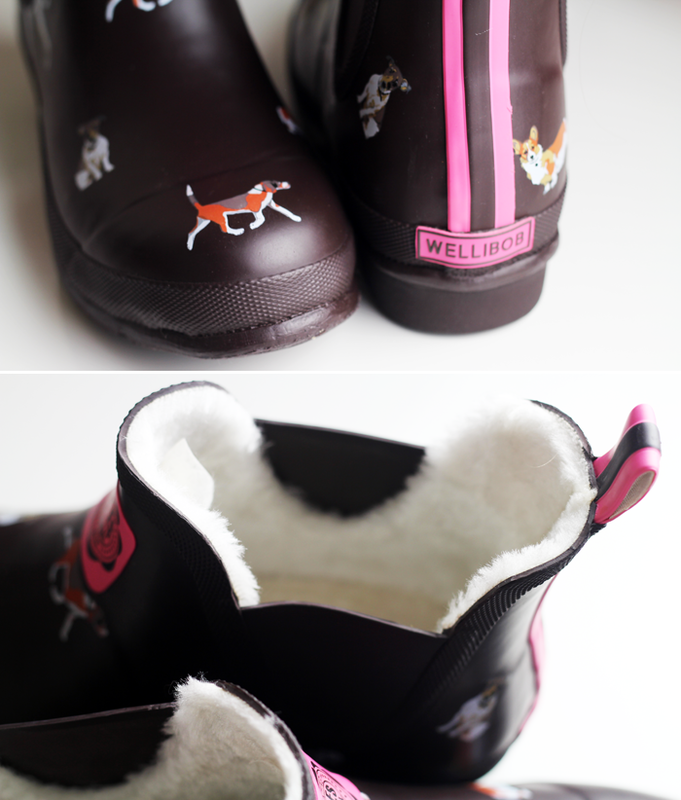 Those Wellibobs do look very warm and comfy... but the Corgi takes them to another level.. so cute!! Oh my gosh those willies!! That nail polish shade is perfect, I love a good burgundy! OH MY GOD is that dogs on your wellies? So jealous! That Nails Inc shade is gorgeous! New Glasses + A Giveaway!